CBD, the mega-therapeutic cannabinoid found in cannabis, is gaining worldwide popularity as a remedy for anxiety, inflammation, and many other conditions. Now, research indicates that CBD has potential to be an effective sleep aid. Healthy habits, such as a proper diet and daily exercise, are all great natural ways that aid in a good night’s rest. Although creating healthy habits can help, many people that live healthy lifestyles still cannot seem to get a decent night’s sleep. Most often, this issue is caused by stress and other factors that keep the mind alert at night. CBD has the ability to relieve these symptoms of restlessness, as it can be used as a natural wellness supplement that can prime your body and mind for bedtime. Here, we outline 4 common sleep-related issues and disorders, showcasing CBD’s therapeutic sleep-inducing benefits. Insomnia can be caused by many different factors, including anxiety, stress, and depression. These symptoms can cause many difficult and restless nights. Not getting enough sleep can have a enormous effect on your daily life and productivity, and can worsen these issues. As our lives continue to get more stressful, our brain likes to focus on all of the strenuous activity, even when we try to rest. Because CBD is now a well-known stress reliever and anxiety reducer, it only makes sense the healing agent lets us hit the pillow easier. Another benefit of taking CBD for insomnia is that it is more effective for long-term use in comparison to other sleep remedies and medication. If you are tired of being tired from your insomnia, this product may prevent another sleepless night. The CBD Cherry Syrup PM by Cannabinoid Creations is formulated with melatonin and CBD, ensuring that you will get the quality sleep that you need and deserve. Although sleep apnea is completely unrelated to anxiety and stress, it can cause a lot of sleep related issues. For those that aren’t familiar with sleep apnea, it is a serious sleep disorder that consists of breathing interruptions. People who suffer from sleep apnea will often wake up repeatedly at night from their own interrupted or erratic breathing. This is caused by a blockage in the breathing airway, resulting in abnormal breathing patterns that can last a couple of seconds, to a couple of minutes, multiple times per night. In a 2013 study on CBD’s effects on sleep apnea, the results showed that CBD produced a significant reduction in breathing interruptions. Other studies indicated that the results are dose-depending, meaning that patients who consumed higher amounts of CBD were able to experience relief from their sleep apnea. Restless Leg Syndrome, or RLS, is a disorder characterized by an overwhelming urge to move your legs while you’re trying to relax. These impulses can happen anytime, whether you’re relaxing on the couch or trying to get some sleep. These urges are very unpleasant, and can cause pain and discomfort, leading to a lack of sleep. While the cause of RLS is still unknown, researchers suggest the condition is most likely related to abnormalities in the central nervous system. Because CBD helps balance the central nervous system, CBD sleep aid products are appearing as potential remedies for people with RLS. Although there aren’t any formal studies to officially prove the correlation between CBD and RLS, those who have taken CBD for RLS have reported a reduction in movement. REM (Rapid Eye Movement) sleep is the period of sleep where you are gaining the benefits of that quality, deep sleep. During REM sleep, movement and increased dreaming occur. REM Behavior Disorder is a whole other ballgame. When you have REM Behavior Disorder, your muscles are still active (your body is almost paralyzed during a normal REM cycle) leading to increased physical activity through dreaming. This means that those with REM behavior disorder move much more often in their sleep in comparison to the average individual. There is evidence that CBD can reduce REM Behavior Disorder, with users responding positively in terms of motionless REM sleep. Further research needs to be conducted on REM Behaivor Disorder, but those who have taken CBD for this reason are giving rave reviews. So, now that you know what CBD is good for as it pertains to sleep, we tell you how the cannabinoid promotes sleep and relaxation once its taken. CBD works with the body’s Endocannabinoid System (ECS for short), the essential system responsible for maintaining harmony and balance within our bodies. Basically, CBD works with our ECS to make us feel better, calm our nerves and maintain properly bodily function, otherwise known as homeostasis. CBD affects our body’s natural cannabinoid receptors, signaling the brain to send the right messages to our body. In this case, the cannabinoid signals the brain telling our bodies to rest, relax, and get some sleep. CBD is an ideal sleep aid because it contains anti-inflammatory, pain-relieving, calming, and relaxing components. Whether you’re suffering from a serious sleep disorder or simply looking to get a better night’s rest, CBD will be your supportive bedtime friend. CBD could be the most ideal sleep remedy for those having trouble relaxing at night. CBD could help with Insomnia, REM Behavior Disorder, and Restless Leg Syndrome. CBD has therapeutic benefits and can help reduce stress, anxiety and depression. Unlike medical cannabis, CBD is legal in all 50 states, and can be purchased through online retailers. 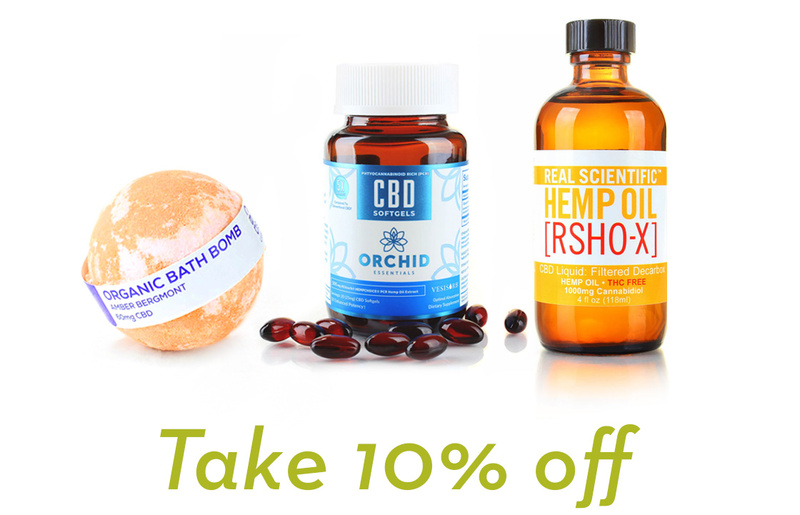 If you’d like to view our selection of our top quality CBD sleep aid products, click here. Previous post: What are Terpenes?